On June 15, more than 130 nations reconvened at the United Nations for the final session of negotiations on a treaty to ban nuclear weapons. While the U.S. and other nuclear-armed and nuclear-allied nations boycotted this process, the clear majority of the world’s nations showed readiness to definitively prohibit nuclear weapons – the only weapon of mass destruction not currently banned. And on July 7, a global treaty to ban the bombs was approved, and endorsed by 122 countries at the United Nations headquarters in New York after months of discussions and a fierce opposition put forth by nuclear powers. 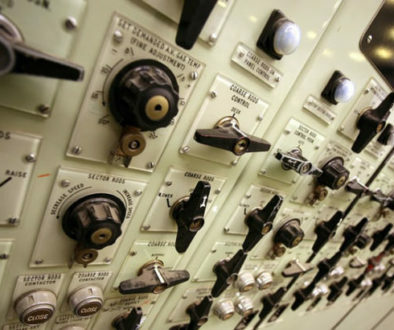 The Netherlands, which has U.S. nuclear weapons on its territory, voted against the agreement. 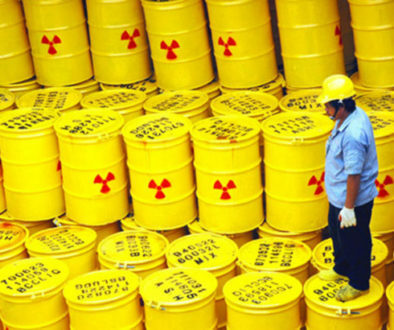 The aim of the Nuclear Supplier Group (NSG) Guidelines is to ensure that nuclear trade for peaceful purposes does not contribute to the proliferation of nuclear weapons or other nuclear explosive devices, and that international trade and cooperation in the nuclear field is not hindered unjustly in the process. The NSG Guidelines facilitate the development of trade in this area by providing the means whereby obligations to facilitate peaceful nuclear cooperation can be implemented in a manner consistent with international nuclear non-proliferation norms. However, U.S. officials never suspected that India was trying to produce nuclear weapons, even though the technology and materials he accumulated under Atoms for Peace enabled India to manufacture and detonate a nuclear device in 1974 and become a full-fledged nuclear-weapon state in 1998. Critics correctly point out that the road to nuclear weapons production would have been much rockier for India had the United States not launched Atoms for Peace. The liberal nuclear export policies initiated by the United States and other Western suppliers in the mid-1950s dramatically reduced the costs of undertaking serious nuclear research and development for dozens of nations around the world. Proponents of nuclear energy in countries without a nuclear program before Atoms for Peace, or other countries with foundering programs, were now able to convince national leaders of the technical and economic feasibility of operating nuclear reactors, uranium-enrichment plants, and plutonium reprocessing facilities. In a handful of cases, highly determined governments succeeded in producing nuclear weapons from so-called peaceful nuclear technologies. There are many more instances where the diversion of scientific or industrial nuclear materials for military uses was detected and defeated by the nonproliferation notions and instruments that began under Atoms for Peace. Argentina, Brazil, Taiwan, and South Korea are cases in point. Since the discovery of ionizing radiation, a number of human radiation experiments have been performed to understand the effects of ionizing radiation and radioactive contamination on the human body, specifically with the element plutonium. Researchers in the United States have performed thousands of human radiation experiments to determine the effects of atomic radiation and radioactive contamination on the human body, generally on people who were poor, sick, or powerless .Most of these tests were performed, funded, or supervised by the United States military, Atomic Energy Commission, or various other US federal government agencies. From 1960 to 1971, Dr. Eugene Saenger, funded by the Defense Atomic Support Agency, performed whole body radiation experiments on more than 90 poor, black, advanced stage cancer patients with inoperable tumors at the University of Cincinnati Medical Center during the Cincinnati Radiation Experiments. He forged consent forms, and did not inform the patients of the risks of irradiation. 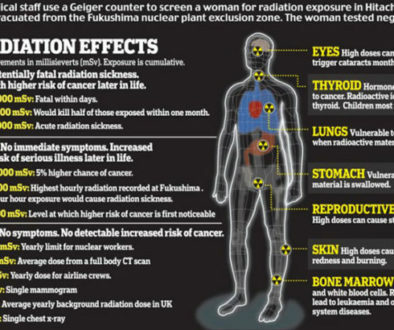 The patients were given 100 or more rad (1 Gy) of whole-body radiation, which in many caused intense pain and vomiting. Critics have questioned the medical rationale for this study, and contend that the main purpose of the research was to study the acute effects of radiation exposure. From 1963 to 1973, a leading endocrinologist, Dr. Carl Heller, irradiated the testicles of Oregon and Washington prisoners. In return for their participation, he gave them $5 a month, and $100 when they had to receive a vasectomy upon conclusion of the trial. The surgeon who sterilized the men said that it was necessary to “keep from contaminating the general population with radiation-induced mutants”. Dr. Joseph Hamilton, one of the researchers who had worked with Heller on the experiments, said that the experiments “had a little of the Buchenwald touch”. In 1963, University of Washington researchers irradiated the testes of 232 prisoners to determine the effects of radiation on testicular function. When these inmates later left prison and had children, at least four of them had offspring born with birth defects. The exact number is unknown because researchers never followed up on the status of the subjects.